Look who's talking...eating...loving SALTOPIA SALTS! 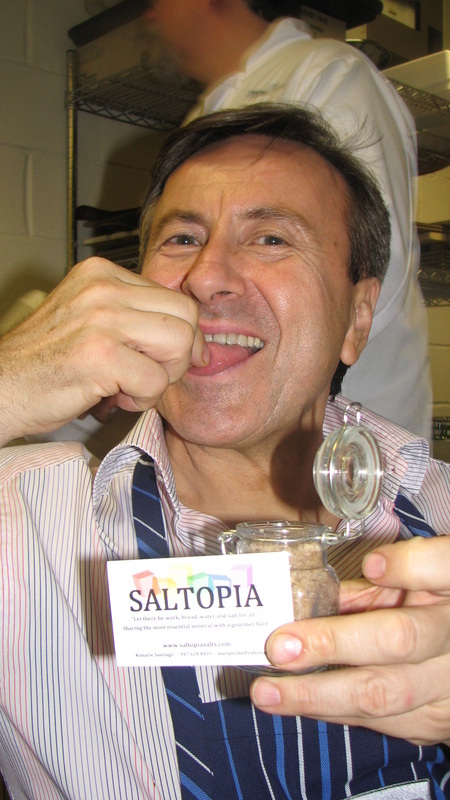 Celebrity Chef Daniel Boulud enjoying a pinch of SALTOPIA Salt with the Salt Girl! I stand in awe of Chef Daniel...phenominal! 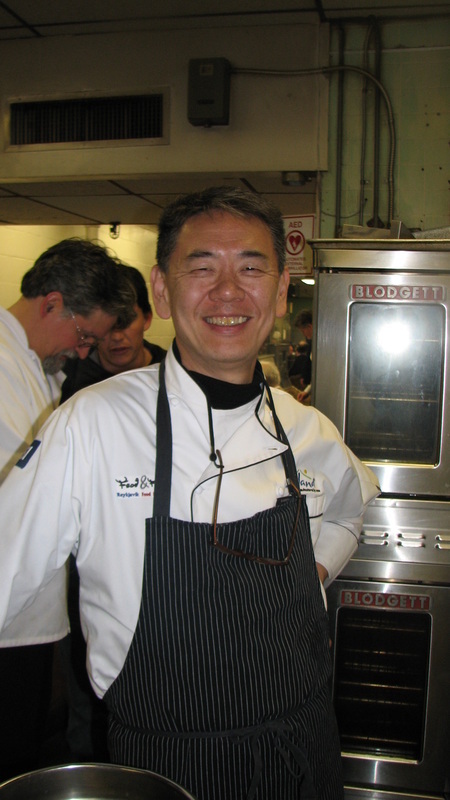 Master Chef Kaz Okochi, owner of Kaz Sushi Bistro, "SALTOPIA is going to be very successful!" 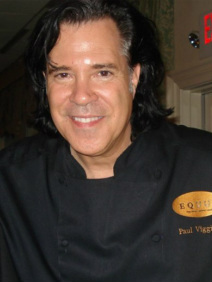 Chef Paul Viggiano, celebrity Chef and professional Musician has become a amazing supporter of SALTOPIA's product line. We are grateful to his enthusiasm and encouragement! Kirk Avondoglio sharng love for SALTOPIA! 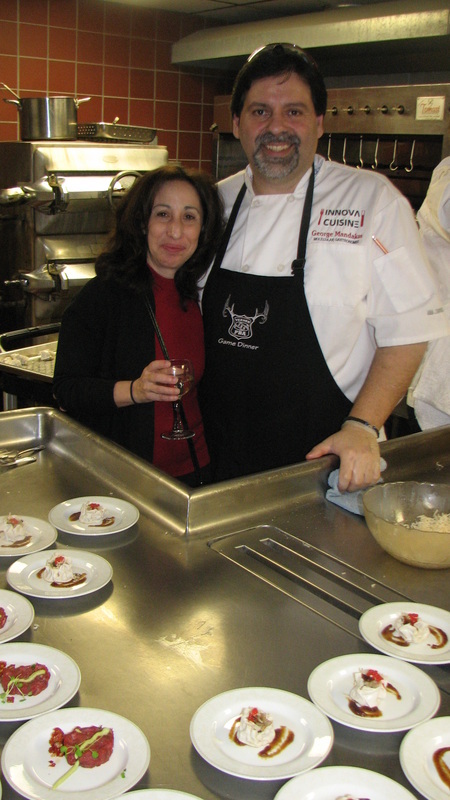 Celebrity Chef & Esquire's Chef of the Year Roberto Donna tells SALTOPIA, "Keep up the good job!" 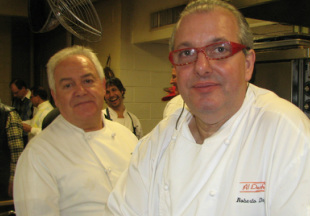 And that's celeb Chef Francesco Ricchi next to him....SALTOPIA loves our Italian stars! 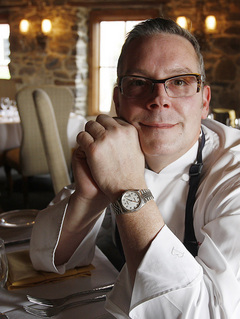 Celebrity Chef Craig Shelton and President of Aeon Hospitality Holdings is a SALTOPIA fan! We love his supreme vision for the molecular structure and nature's balance involved in finding perfect flavors and blends - his coffee line speaks for itself in his masterful vision! 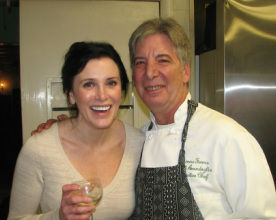 Celebrity & Olympic Chef Scott Cutaneo, who now owns our area's legendary General Store located in Tewksbury, NJ. He is also one of the handful of top culinary experts who cook privately for Bill Gates, Henry Kissinger and many more... Chef Scott loves SALTOPIA! We love him! 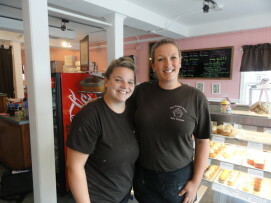 The FoodNetwork's hit TV show, "CUPCAKE WARS" winner: The Sweet Spot Bake Shoppe ALSO loves SALTOPIA!! We love you sweet girls. Congrats on all your success and thank you for salting up your fancy sweets with us!